Most people will have fearful feelings or anxiety to some extent in their lives, whether it’s making new business calls, small spaces, business meetings, networking events or something else. But when you are faced with a fear, how do you go about dealing with it? I got told yesterday “If you don’t face your fears, how are you going to grow as a person?”. I do believe this, but at the same time I know fears can be so irrational that some can seem truly unable to overcome. 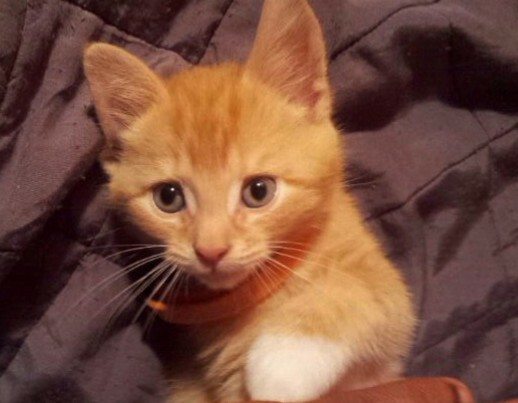 The weekend just gone my boyfriend got a kitten for his birthday – My heart stopped. How the hell was I going to deal with this one? No more going to his? Only seeing him at weekends when he came to mine? Completely avoiding the situation? But he had a birthday BBQ and night out on his birthday and everyone was going to his. All really excited about this new ‘thing’, and at first I could ignore it. UNTIL one of Alex’s best friends decided he was going to try get me to go see it and kept taunting me – I couldn’t deal with it, I had to walk off as I started crying and shaking like crazy. I felt like Alex looked at me like I was just being silly when he came outside, but he said he was confused because he didn’t know what happened. I realised other people don’t always see/understand how fear affects you. I calmed down but I haven’t actually see the kitten in real life, and I can now laugh about the fact I fear them, but thinking of facing it which I was talking to one of my housemates the other night made me want to cry…tears were actually ready to fall! But I know I need to do this. For Alex, and for myself to grow. I mean seriously, I can’t avoid his, or run from room to room with the hope a kitten isn’t in the hallway! I’m still not going to like it, but I’m hoping at least I can not be tearful and shaky if it’s around. Right now I feel like the kitten comes first – what does it matter how I feel about it he’s not going to do anything about the thing, so this is also why I need to face it so I can stop feeling this way. Take a breather – if you’re feeling anxious, and are worked up, this is not a good time to try and face your fears. Take some time to relax and de-stress. When you have calmed down you will be able to think more rationally and deal with the situation better. Get exposure to what you fear – the more it stays hidden or you don’t expose yourself to it, the scarier it will become. What is the worst that can happen? – a panic attack? Calmly try to think what the worst is that can happen. Even if something goes wrong, chances are you will be fine! Think positive. Fears do actually tend to be worse than reality – will it really happen again? Talk about it – It helps so much more to have someone close you can talk to about your fears. I’ve already seen this in my amazing housemates! Reinforce yourself for facing your fear! This is such a great way to get used to dealing with a situation causing anxiety, by creating positive consequences to facing them. So here goes, I shall let you all know how I get on – please do wish me luck! I’ll also let you know if I find a better way to deal with this ‘thing’. If you have any other tips, please do comment to tell me, it would be very much appreciated! Science: doesn’t it intrigue you too? At Home|| My top 5 Netflix picks..